Fly fishing has become a very popular recreation as an alternative to traditional forms of fishing. However, the sport requires a whole new set of casting techniques and a unique understanding of fishing lures for the inexperienced beginner. 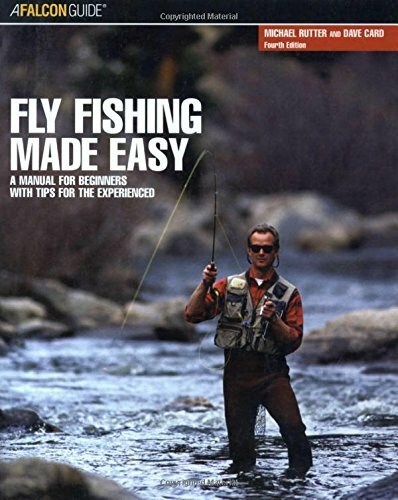 Thankfully, there are many fly fishing books for the novice that can educate you on the basics but also provide as a refresher for the intermediate or advanced fisherman. Fly fishing is active, engaging, and it requires specialized knowledge of not only your equipment but also the designated fish, the environment they're in, and careful consideration of their diet. 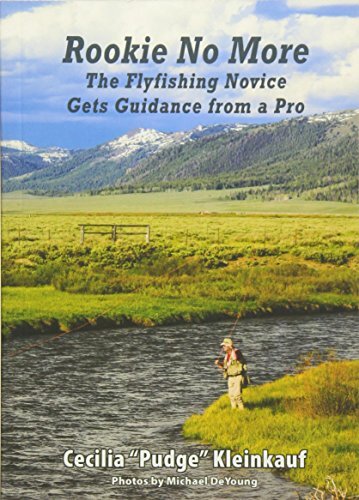 We have selected 10 of the best books on fly fishing for beginners that will be your go-to resource in advancing your knowledge in this incredible sport. Fishing is a surprisingly engaging hobby, with several moving parts that can be intimidating to the novice angler. These include fishing rods, lines, reels, and even critiques of one's fishing style. The author condenses these confusing topics and makes it palatable for the curious fly fisher. Fishing is a leisurely sport and attempting to be an expert in all areas will lead to frustration and gridlock. This book explains the basics well enough, where most readers will be able to maneuver themselves for a successful fishing season. The Orvis company has dedicated more than a century and a half investing in the environment, sustainable education, and everything wild-life - so it's natural that the Orvis Company curated a book for those interested in fishing. This particular guide does a great job at explaining the more complicated aspects of fly fishing that are sometimes overlooked by other guides. 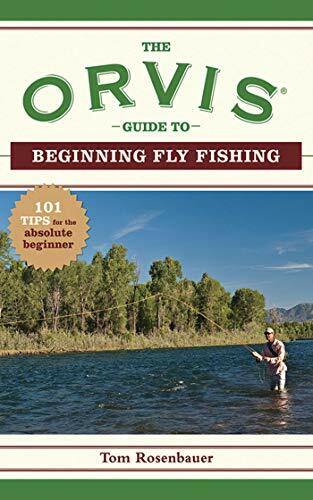 The Orvis book takes a chronological strategy to approaching the subject, making sure that the reader can comprehend every detail of fly fishing. One of the appreciated aspects of the Orvis Guide is its ability to combine ethics into their guides, ensuring that fishers interact respectably with marine life. Fly Fishing for Beginners is the go-to resource for those who want to learn the latest tricks and techniques. The author teaches you the history of the sport, what factors to consider when choosing the correct rod for the job, picking the right reel, and determining the type of fishing line needed for specific fish. Fly fishing is all about casting. This book will guide you through various casting techniques so that your next fishing adventure won’t be a disaster. The author not only informs readers of the unique history and application of fishing, but he also tells you why you should branch out to this form of fishing, and what sort of equipment and tools you will need for a successful catch. Here are some things you’ll learn from this book. Fly fishing is more engaging than traditional fishing. For one, you are replacing the spinner rod for a wildlife rod, changing how someone might approach the sport. You'll have to have an excellent understanding and knowledge of the rivers and waterways that you will be fishing in, bug hatches, and trout feeding patterns. The book condenses all that information for you and makes it relatable to everyday fishers. It's straight-forward and easy to read without all the complicated jargon that can muddy the message. The author understands the best way to approach fly fishing and describes why and how he evolved to this method of fishing. A great read even for those of you who have never fished before. Saltwater fly fishing is different than freshwater fishing - first of all, you will be using a specialty saltwater rod. Saltwater fish are typically faster, stronger, and have much more stamina than their freshwater counterparts, requiring a whole new set of knowledge when it comes to fishing in this setting. Saltwater rods need to have the torsional rigidity to handle these types of fish, and this book does a good job explaining that. 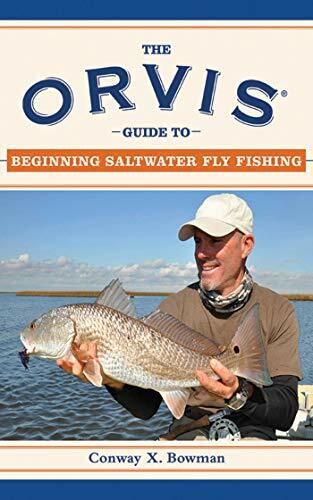 The Orvis Guide offers proven advice and techniques for those who are graduating from freshwater to saltwater, and for beginners wanting to learn fly fishing in seawater. Steelhead - also known as the rainbow trout - is a freshwater and saltwater species of fish. Steelhead can be challenging to catch but are highly sought after. 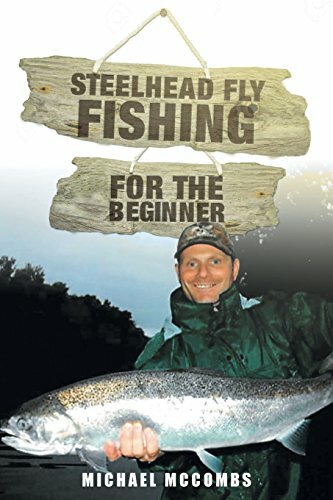 For those who have ventured into the sport of fly fishing but are curious as to how they can use the technique to catch this elusive species, then the Steelhead Fly-Fishing For Beginners is going to be a valuable resource. The book will teach you that steelhead fly fishing requires longer, specialty rods. These rods provide you with the coverage, allowing fisherman a more extended and slower swing to hook in more fish. If you want to fish steelhead for sport or leisure, then this guide is written for you. It's a book not only for beginners but also for the more experienced anglers who want to expand to this type of fishing. This book is an ideal guide for those who want to take advantage of the fertile waters of Connecticut's shores. You’ll learn the basics in fly angling gear, stream strategies, throwing, and a large group of related points. For the would-be fishermen, the author takes you on a journey into the historical backdrop of angling in the state, in addition to essential tips on stream protection, fly angling decorum, directions, and security. 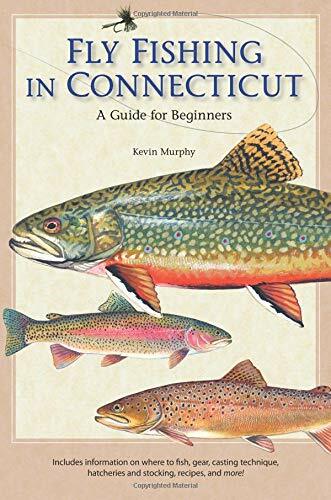 Above all, Kevin presents you with a guide to Connecticut's best trout streams and waterways. The book additionally recommends ideal lodging in popular fly fishing areas and, when the day's fishing is done, offers several mouth-watering dishes to cook up with the prize catch of the day. Regardless of whether you're considering tuning up your fly fishing techniques, finding out where the fish are gnawing or testing out those new waders you just bought, this book is for you. 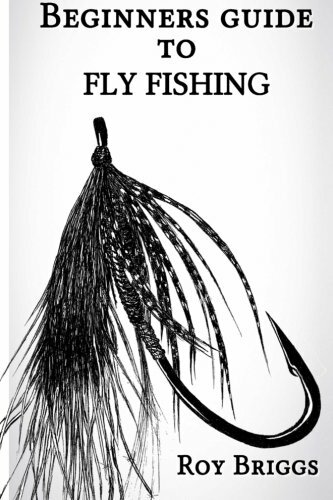 This book looks at a practical approach to the sport of fly fishing. Techniques and methods are explained with illustrations and graphics, showcasing complicated procedures into a more palatable format. 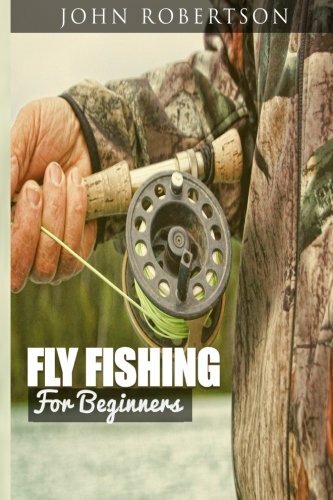 Continuously rated as the go-to resource for beginners and experienced fly fisherman, this fishing guide further explains the different categories of equipment, helping novices pick up a fly rod with confidence while allowing more seasoned fisherman an opportunity to master the basics. The author also makes it a point to explain the behavior of different types of popular fish, teaching users how to read the water for the correct time to cast your lure, as well as study the different kinds of water bugs. There are many guides designed to explain the unique aspects of fishing - but none do it as well and succinctly as Cecilia Kleinkauf's guide. Rookie No More is more than just a guide; it's a manual designed for struggling fishers who are having a hard time grasping the technical aspects of fishing. There is a section of commonly asked questions that Kleinkauf has fielded throughout her career, with the book answering the inquiries comprehensively. 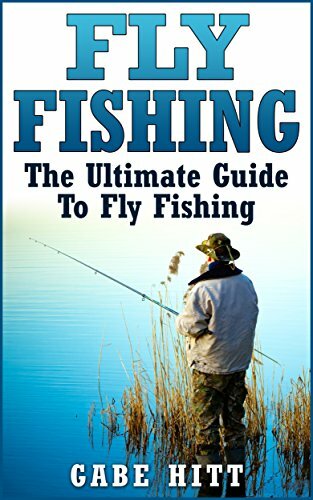 The author provides information and technique on the various types of casts and how you can select the right lure for your situation, information about the application of fishing equipment, and the different types of flies used in the sport. Fly fishing is difficult, perhaps even frustrating to grasp. Why invest time in its guides and manuals if you have mastered other forms of fishing? It's because this fishing sport allows you to cast over vast distances with lightweight flies that are small enough to imitate tiny insects or other natural foods that fish like to eat. For this reason, a lot of the best professional spin fishers are also avid fly anglers. 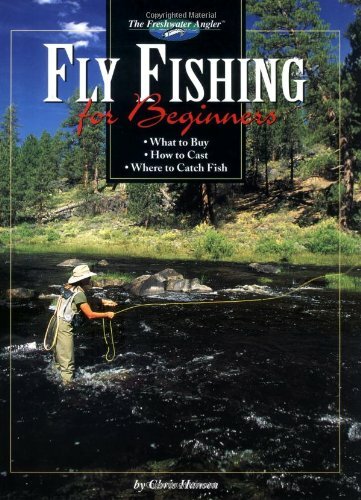 Our selection of fly fishing books for beginners offers you, the newbie, the opportunity to learn the fundamentals of fly fishing quickly and easily. For the avid fly fisher, any one of these books will make a great addition to your library.